(NASDAQ) – Brazil’s center-south is expected to produce 26.38 million tonnes in the 2018/19 season – which is heading into its final weeks – the lowest amount in 12 years due to a smaller cane crop and higher ethanol production, Datagro consultancy said on Tuesday. Datagro’s previous estimate for the season was for production of 27.28 million tonnes. It projected the new sugar season, which starts in April next year, at a similar level with an output seen at 26.4 million tonnes. Lower Brazilian sugar production this year and next are seen helping to swing global sugar supply from a surplus to a deficit, favoring a recovery in benchmark raw sugar prices in New York. “Despite the late spike in sugar prices, ethanol continues to give better returns to mills in Brazil, so we expect them to continue to give preference to the fuel next season,” Datagro’s chief analyst Plinio Nastari told reporters at the consultancy’s annual international conference in Sao Paulo. Datagro sees mills allocating only 35.5 percent of the cane to sugar production, the rest going to ethanol. Nastari said the production mix between ethanol and sugar could change late next season in favor of sugar if prices for the sweetener continue to rise. 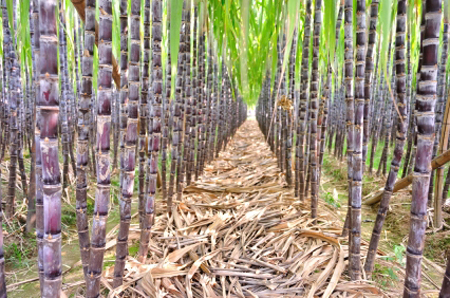 The consultancy revised its cane crush number for Brazil’s center-south next season to 570 million tonnes from 540 million tonnes previously, saying record precipitation in the region in October will boost cane volumes in the new crop. If confirmed, it would be the first rise in the center-south crop for the last four years. “This is basically due to ample rains, because crop care didn’t improve, neither did cane field renovation,” said Nastari. Datagro revised its view for India sugar output to 32.5 million tonnes from 33.9 million tonnes previously. It cut its estimate for Thailand’s production to 13.35 million tonnes, versus 14.68 million tonnes in the previous season. Drier-than-normal weather has decreased production in both countries, Nastari said, adding that the consultancy expects a smaller cane area in India next season because planting was hit by lack of rains.